Lead-based perovskites are promising materials for low-cost and high-efficiency solar cells. However, the intrinsic instability and the toxicity of lead (Pb) have raised serious concerns of the viability of Pb-based perovskites, hindering large-scale commercialization of solar cells and similar devices based on these materials. 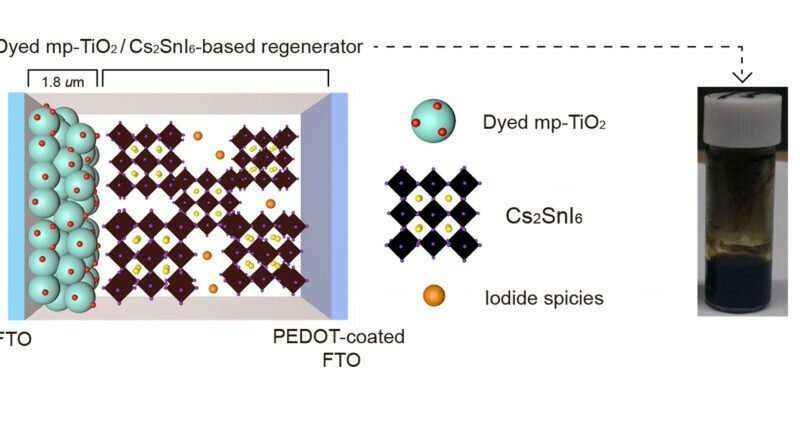 As an alternative solution, Pb-free perovskites were recently proposed to counter the toxicity of lead-based perovskites, yet it is of little use due to lower efficiencies. A recent study, led by Professor Tae-Hyuk Kwon in the School of Natural Science at UNIST, represents a major step toward the development of a new generation of solar cells using lead-free perovskites. 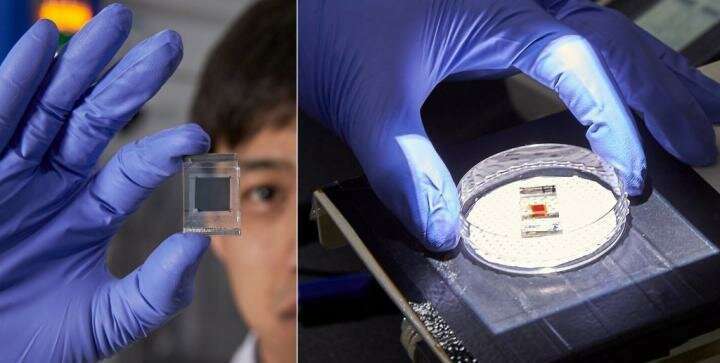 With its promising electronic properties, the new perovskite material has been demonstrated to function as a charge regenerator with dye-sensitized solar cells, thus enhancing both the overall efficiency and stability. Published in the November 2018 issue of Advanced Materials, the findings will open new possibilities for the application of lead-free perovskites in solar cells. Through this work, the team examined the charge transfer mechanism of Cs2SnI6 with the aim of clarifying the function of its surface state. For this purpose, a three-electrode system was developed to observe charge transfer through the surface state of Cs2SnI6. Cyclic voltammetry and Mott-Schottky analyses were also used to probe the surface state of Cs2SnI6, whose potential is related to its bandgap. "In case of Cs2SnI6, charge transfer occurred through the surface state of Cs2SnI6," says HyeonOh Shin in the Combined MS./Ph.D in Chemistry at UNIST. "This will aid in the design of future electronic and energy devices, using Pb-free perovskites." "Due to a high volume of electrical charges in organic dyes that show high connectivity with the surface state of Cs2SnI6, more electric current were generated," says Byung-Man Kim in the Department of Chemistry at UNIST, another lead author of this study. 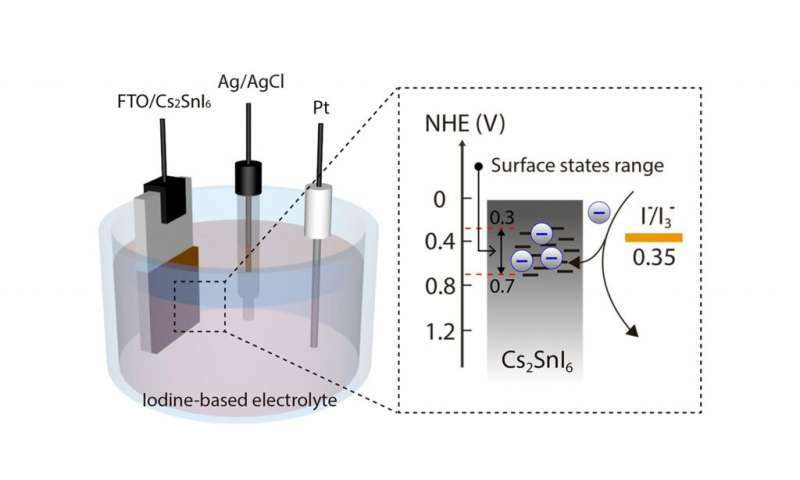 "Consequently, Cs2SnI6 shows efficient charge transfer with a thermodynamically favorable charge acceptor level, achieving a 79% enhancement in the photocurrent density compared with that of a conventional liquid electrolyte." This study has attracted considerable attention among researchers, as it examined the charge transfer mechanism of Cs2SnI6 with the aim of clarifying the function of its surface state. Their results suggest that the surface state of Cs2SnI6 is the main charge transfer pathway in the presence of a redox mediator and should be considered in future designs of Cs2SnI6-based devices. More information: HyeonOh Shin et. al., "Surface State‐Mediated Charge Transfer of Cs2SnI6 and Its Application in Dye‐Sensitized Solar Cells," Advanced Energy Materials, (2018).